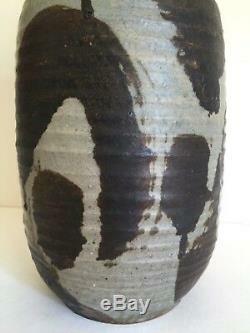 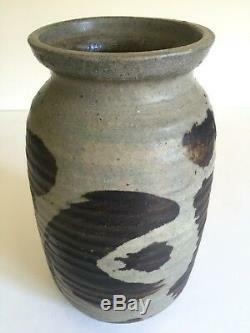 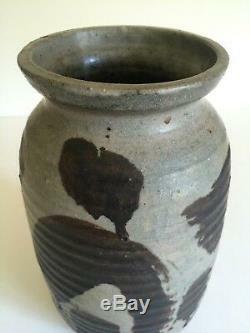 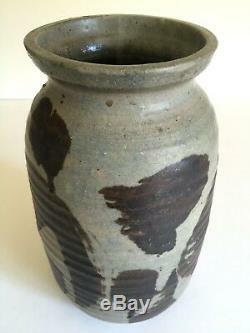 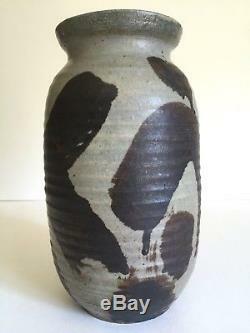 THIS VINTAGE 1965 MID CENTURY ORGANIC MODERNIST STUDIO POTTERY STONEWARE SIGNED CERAMIC VASE IS A VERY SPECIAL AND UNIQUE PIECE TO ADD TO YOUR COLLECTION. 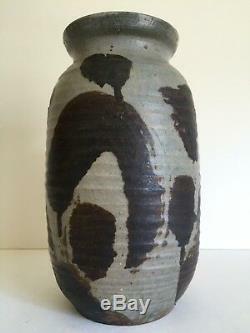 THE HAND THROWN STUDIO POTTERY VASE IS MADE IN THE MID CENTURY BY AN ARTISAN POTTER OF HEAVYWEIGHT NATURL STONEWARE CERAMIC POTTERY. 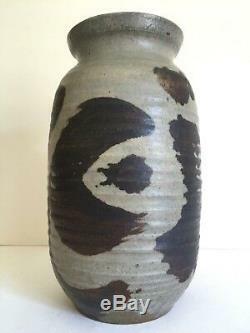 THE SIGNED " SOUTHWICK " AND DATED " 65 " VASE FEATURES BEAUTIFUL HAND PAINTED ORGANIC MODERNIST ABSTRACT EXPRESSIONIST DESIGN DETAILS WITH A MATTE EXTERIOR FINISH, AND GLAZED INTERIOR. 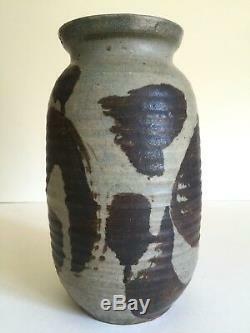 THE MID CENTURY STUDIO POTTERY STONEWARE CERAMIC VASE MEASURES 5 1/2" DIA X 10" H.
PLEASE SEE PHOTOS FOR CONDITION REFERENCE. 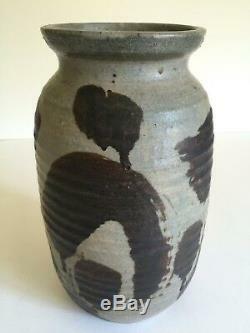 IT IS NOW BEING OFFERED HERE FOR AN EXCELLENT PRICE. 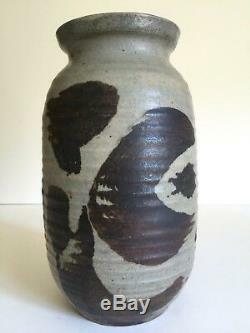 The item "VTG 1965 MID CENTURY ORGANIC MODERN STUDIO POTTERY STONEWARE SIGNED CERAMIC VASE" is in sale since Monday, March 18, 2019. 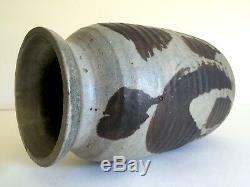 This item is in the category "Pottery & Glass\Pottery & China\Art Pottery\Studio/ Handcrafted Pottery". 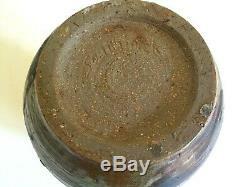 The seller is "mrgreatjones" and is located in Leawood, Kansas.